In response to the growing demand for instructional designers—from both on campus and off—the School of Education’s Department of Instructional Design, Development and Evaluation (IDD&E) has created an online certificate of advanced studies in Designing Digital Instruction. The Department of Instructional Design, Development and Evaluation has created a new certificate of advanced studies in Designing Digital Instruction. 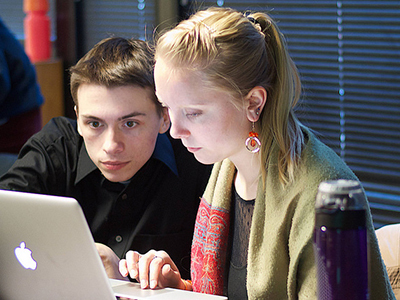 The CAS will help students develop competencies required to design digital learning resources and effective and efficient online or e-learning instruction. Inquiries have come from people in the military, higher education and students from across campus, Koszalka says. The focus is on working professionals who want to enhance their competencies in creating effective, efficient and acceptable digital learning experiences. On campus, students might come from the Institute for Veterans and Military Families, which provides online programs to support veterans across the county. The CAS program includes four required courses, one elective and a portfolio with sample digital projects and reflections on the student’s development of instructional designer, online instructor and online learner competencies. The required courses are “Technologies in Instructional Settings” (fall semester), “Design of Online Courses” (winterlude), “Strategies in Educational Project Management” (spring) and “Advanced Instructional Design” (summer session). The program provides students with what IDD&E calls a 360-degree view of digital instruction and learning—from the perspectives of the designer, the facilitator and the learner. The student will then be able to design and create sound instructional resources and environments that will lead to quality learning experiences. The certificate can be completed within one year with fall, spring and summer courses. Students must work with their advisor complete and submit a CAS program of study before their second semester. There are no graduate course prerequisites.